Many people rush writing job application forms or leave them until the last minute. Allow yourself enough time to get together the information you'll need, fill in the form and check it. Most application forms ask your reasons for applying and what you can bring to the job, so use this opportunity to promote yourself. Highlight your experience, including training, projects and work responsibilities that show your abilities. create an online account with a job board or company and sign up for notifications for suitable vacancies. You may be asked to supply your LinkedIn profile, so make sure it matches your CV. If you have other social media accounts, either make them private or clean up anything you've shared that might damage your future job chances. When you have everything ready, go to the employer's website. You may need to register and log in. Read the application form and instructions carefully. If you don’t follow all the instructions, the employer may reject your application. If possible, download a copy of the form and practise filling it out. Fill in the application form. Follow all the instructions and answer all the questions. You can write 'Not applicable' if necessary, for example, if they ask about previous jobs and you haven't had any. Have a document open on your computer and copy and paste everything you’re filling in online as you go. Save this document when you've finished, so you have a record of what you've written. You can also use the spelling and grammar checks to make sure the text is correct. Check your answers. 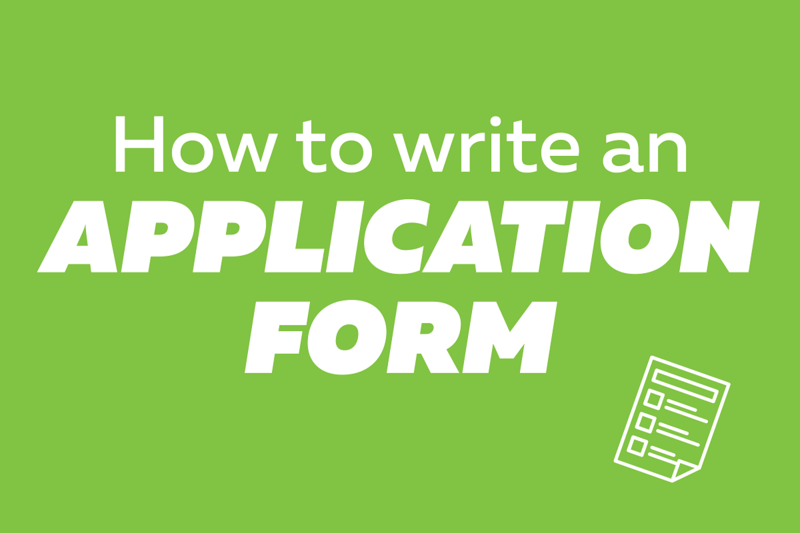 If possible, ask someone to proofread your application form.